This new 6,900 sq. 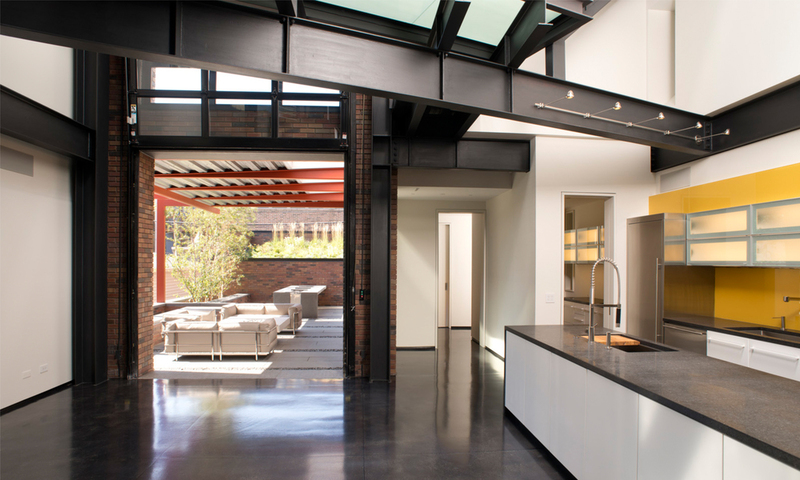 ft. custom single-family home has been designed by SGW to suit the client’s requested “warm industrial” aesthetic; exposed structural steel framing, concrete floors, interior brick bearing walls, and steel windows complete the modernist feeling. 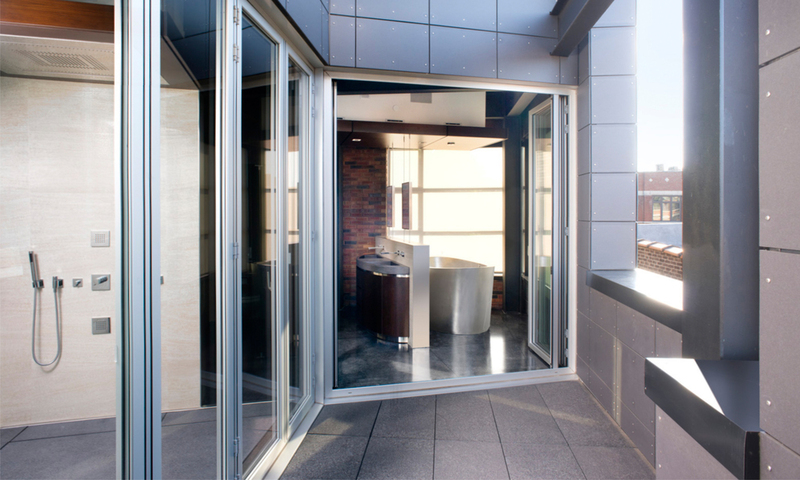 SGW designed many intriguing elements within the home, including a steel bridge spanning the two-story space at the Kitchen and Gathering Room, an open-air entry court with a water feature that flows down the stair, and a roof terrace at the Master Suite that will completely open the bedroom and bath to outdoor space through retractable glass walls. SGW is working with builder Crescent Rock, Inc. in a design-build relationship. Construction began in late fall of 2010.